Swami Venkatesananda was born was born in Tanjore on December 29th 1921 to a South Indian Brahmin family. Even in his youth he was both scholarly and full of fun, a trait which endear him in later life. At the age of fourteen after discovering a book by Swami Sivananda in a bookshop, he wrote to Swami Sivananda asking if he could join him in his ashram. Swami Sivananda told him to complete his education and then come to Rishikesh, an invitation he fulfilled in early adulthood. In addition to working in the kitchen temple and office, Swami Venkatesananda’s also compiled Swami Sivananda’s books, responded to many of his letters, and helped generally in many day-to-day activities. 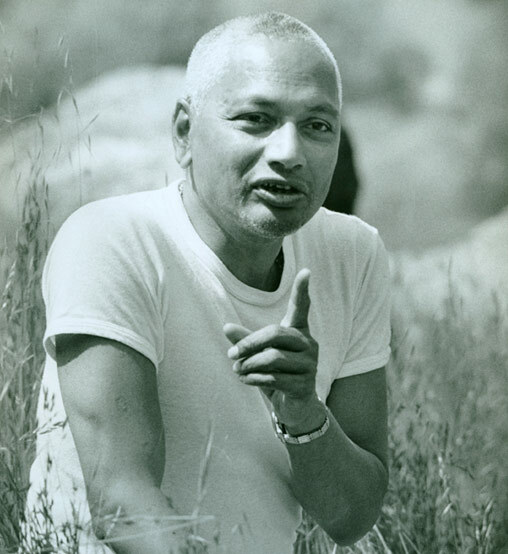 In 1963, Swami Sivananda sent him to South Africa, where his fame emerged as a powerful spiritual speaker. By the 1970s, he was travelled extensively and continuously, guiding many spiritual seekers around the world for many years, until he passed on to higher service while in our very own ashram on 2 December 1982.